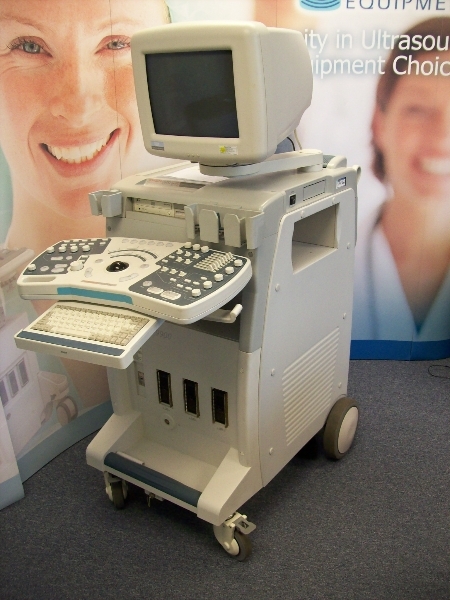 The Medison SonoAce 9900 3D ultrasound system is one of the most technologically advanced, yet easy-to-use, systems available. This ultrasound provides users with an astoundingly high accuracy rate via multi-beam scanning, 2D or 3D imaging, as well as color or BW imagery. Through the use of image enhancement technology, the SonoAce 9900 ultrasound further improves the contrast and spatial resolution of images, making it easier to confidently analyze the resulting exams.